On Saturday evening, England host Slovenia at Wembley and Wayne Rooney will become the latest Three Lions centurion. Despite a hugely successful club career where the Manchester United forward has accumulated five Premier League titles, two League Cups, one Champions League and one World Club Cup, Rooney’s international career has flattered to deceive. The boy wonder burst onto the domestic scene in 2002, when aged just 16, he scored a spectacular late winner against Arsenal as Everton ended the Gunners’ 30-game unbeaten run. After a few months the youngster’s refreshingly fearless play convinced then-England manager Sven-Goran Eriksson to include him in the senior team and Rooney took his opportunity with aplomb. At the 2004 European Championships he announced his arrival onto the international stage with four goals in four goals. His potent cocktail of enthusiasm and exceptional talent left England fans craving for more as they witnessed the most exciting English talent since the days of Paul Gascoigne. Injury ended his campaign prematurely but his catalogue of superb performances still prompted Sir Alex Ferguson to sign Rooney in a £27m transfer. Rooney’s career in as a United player began promisingly with a Champions League hat-trick and despite the odd transgression over the years he has never looked back. In addition to club honours Rooney has also earned numerous individual distinctions. He won both PFA and FWA Footballer of the Year awards in the 2009/10 season; has been named in the Premier League Team of the Year on three occasions; has won the Goal of Season award three times and; his epic winning goal in the Manchester derby was named as the best goal in Premier League history during the division’s 20-year celebration. As at the time of writing, Rooney has amassed 450 games in the colours of the Red Devils — scoring 219 goals (third all-time highest Manchester United goal scorer) and contributing 115 assists. Yet despite the individual and club honours, the is Rooney world-class? debate rumbles on. Those unwilling to grant Rooney this status point to his England career where the national team have never progressed further than a quarter-final at a major tournament, yet the blames lies collectively rather than individually. To state the obvious, football is a team sport. One player alone cannot win a World Cup — although admittedly Diego Maradona wasn’t far off in 1986. In hindsight Eriksson presided over a roster with superstar names — Ferdinand, Neville, Terry, Campbell, Ashley and Joe Cole, Paul Scholes, David Beckham, Paul Scholes, Steve Gerrard, Frank Lampard, Michael Owen and Rooney. At club level these players were untouchable and it was FA’s then-chief executive Adam Crozier who understandably deemed them the ‘Golden Generation’. 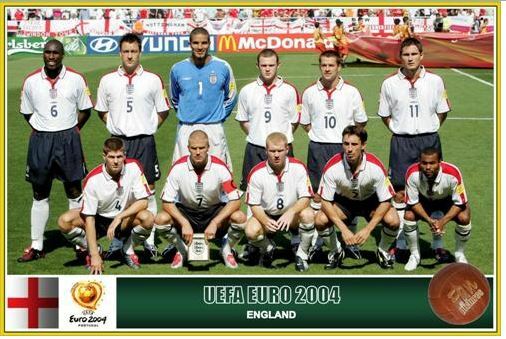 Yet two years after Euro 2004 England were, again, defeated by Portugal in the quarter-finals of a major tournament — on this occasion the 2006 World Cup. Rooney, again, left the arena prematurely but this time due to a red card which was put down to his inexperience. Eriksson’s reign as England’s manager was over and in came Steve McLaren for an ill-fated tenure where England failed to even qualify for the 2008 European Championships. By the time of the 2010 World Cup, three vital cogs of the said Golden Generation — Michael Owen, David Beckham and Paul Scholes — were out of favour or retired and effectively the all-star team of the mid-2000s had blown its chance of international glory. Was it fair for Crozier to label this group of players as a golden generation? The above table suggests yes. Of the highest capped England players, half are directly attributed to the said period, so how can the point be argued otherwise? Given these players were good enough to earn over 80 caps for their country and their careers largely coincided with each other, it is fair to suggest that the main reason Wayne Rooney is not considered world-class is because it was England collectively that failed to perform and not him alone. Despite having scored 43 goals for England and finding himself in close proximity of being the Three Lions’ record goal scorer, Rooney’s England goals are a source of contention. One major criticism of Rooney is that he has failed to deliver in major tournaments. By comparison, Gary Lineker scored 10 goals in World Cup Finals football plus finished as top scorer Mexico ’86 — Rooney has scored once in 11 games (788 minutes). But he does have a strong record in the European Championships — five goals from six games. Upon closer inspection, Rooney actually has the second best competitive strike rate for England (when compared to the country’s leading goalscorers) with 0.52 goals per game — marginally ahead of Lineker (0.51). Greaves’ strike rate is an incredible 0.86 but 19 of his competitive goals came in Home Nations tournaments and not major tournaments. Widely acknowledged as the two best footballers in the world during the current era — Cristiano Ronaldo and Lionel Messi — have both enjoyed the form of their lives for the last half decade. 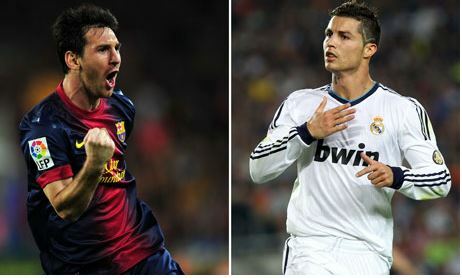 The pair have won all of the Ballon d’Or awards since 2008 with Messi winning for four consecutive years. Both are relentless record breakers and have won numerous trophies at club level. Messi, in particular, has received major kudos for being the focal point of attack for one of the finest club sides ever assembled — Barcelona. However, both his and Ronaldo’s feats for Argentina and Portugal respectively do not live up to their own lofty expectations — either individually or collectively. During the Messi-era, Argentina have been Copa America runners-up in 2007 and most recently reached a World Cup final where the Barcelona forward spent the tournament concealing his best form as he frustratingly played at walking pace for the vast majority of Brazil 2014 (possibly due to injury). Similarly, Ronaldo, who reached the final of Euro 2004 during his debut tournament, has also under performed given Portugal have reached one semi-final since 2004. Individually, the pair’s goalscoring records at major tournaments is average at best — Messi has scored seven goals in 25 games with Ronaldo netting nine in 27 appearances. Rooney has scored six goals in 17 appearances, leaving him with the most prolific strike rate of the three. With this in mind, what does Rooney have to do to be given the credit he deserves? His individual and collective club feats are exceptional while his goal scoring record for his country is admirable as he continues to write himself into Manchester United and England history. While he may not have set international tournaments alight as per his impact in 2004, his peers haven’t either. 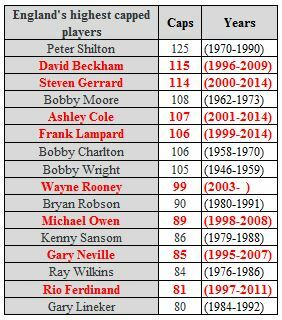 Based on the above there is more evidence to suggest Rooney is a world-class talent than not and therefore England should savour the last member of the Golden Generation.